Appel Farm is pleased to present its third annual South Jersey Cycling Tour sponsored by Subaru of America! Cruise the picturesque countryside between Elmer and Pilesgrove on this rolling ride, which begins in Salem County at Appel Farm, and takes you past historic peach farms and fields of corn and through the lush green woods of Gloucester County. Novice riders who are looking for a leisurely ride can participate in an 8 mile loop, stopping at a designated point to fill up your water bottles with fresh water. 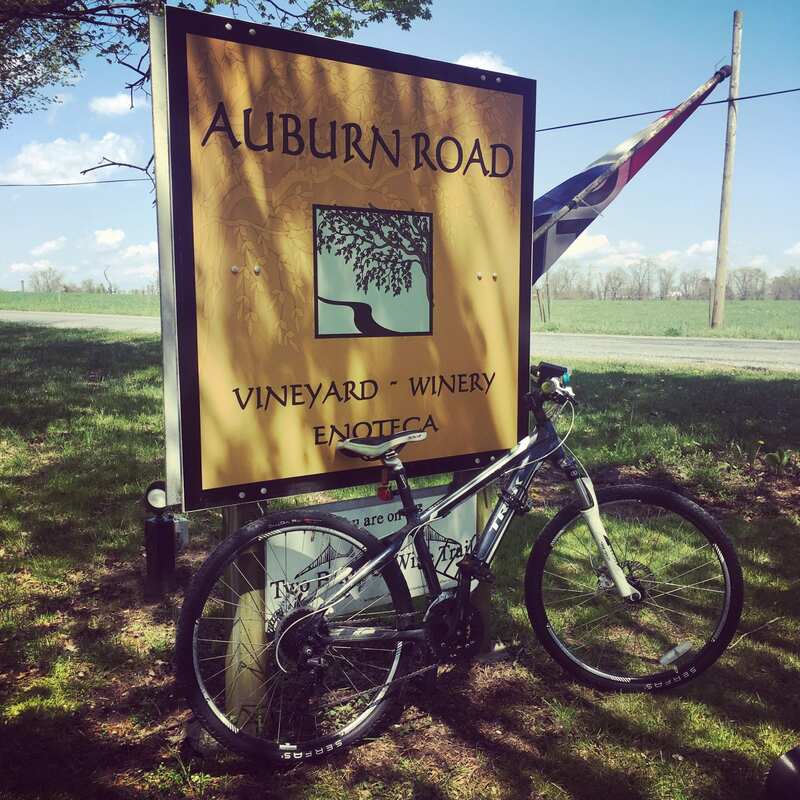 Experienced riders can continue on to gorgeous Auburn Road Vineyards, where you will stop for a break, refill your water bottles and then head back to Appel Farm for a 28.7 mile loop. Auburn Road Vineyards is also our Art of Winemaking partner! After finishing the SJ Cycling Tour, make sure to stop my the Art of Winemaking Tent, where you can sample their premier vintages and meet their winemakers! Plan to arrive by 8:30am to register at the South Jersey Cycling Tour Table. The ride will roll out at 9:00am sharp. You will receive a goodie bag with a water bottle and items from our vendors including further instructions about the ride. The staff of Action Wheels Bike Shop will be on hand to assist with pumping tires and lubing chains. Participation in this ride is FREE with the purchase of a South Jersey Festival ticket. Weather appropriate biking attire is encouraged. Families who wish to participate in the ride may at any time shorten the route and return to Appel Farm. Inclement weather cancels ride. Helmets, flat kits, and releases are required. If you are bringing children who are not your own but are going on the ride, please call to obtain a release form in advance. A bathroom area specific for riders will be made available for showering and changing before continuing on to enjoy the festival. Thank you to Subaru of America and Action Wheels Bike Shop for making the South Jersey Cycling Tour possible, allowing us to highlight the beautiful historic scenery of Salem and Gloucester Counties.